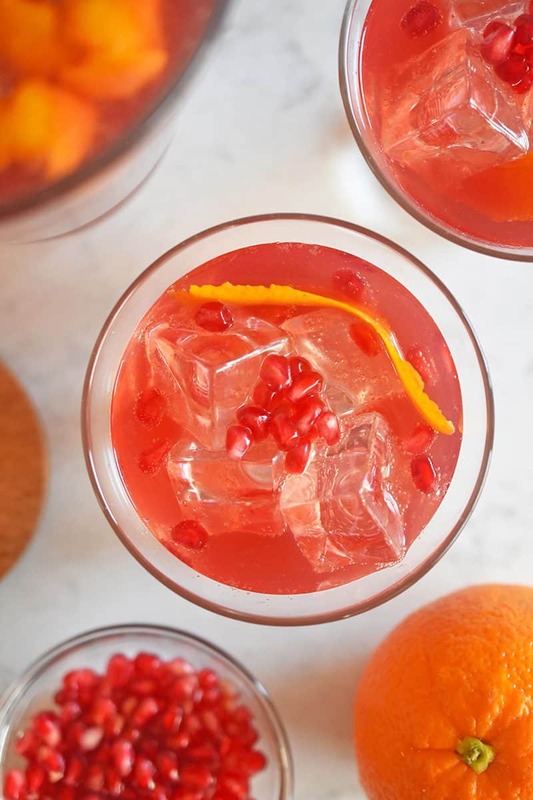 Looking for a festive non-alcoholic drink to serve at your next holiday party? 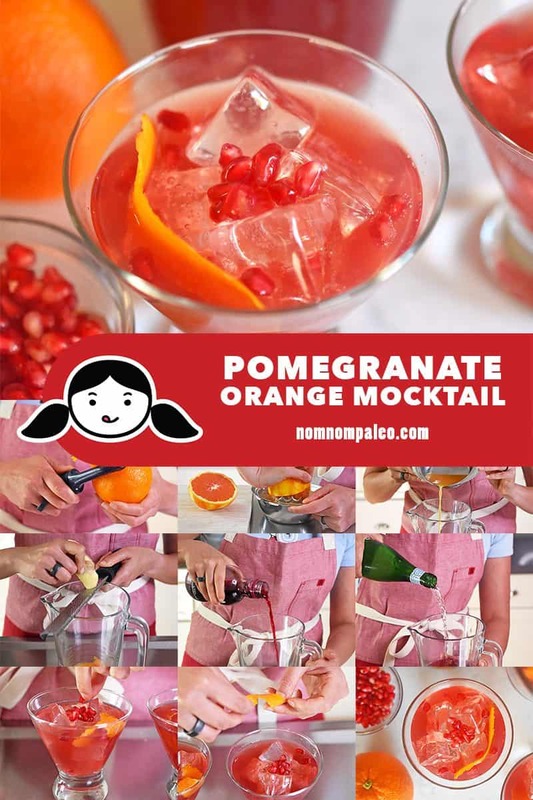 Make a pitcher of my Pomegranate Orange Mocktail! 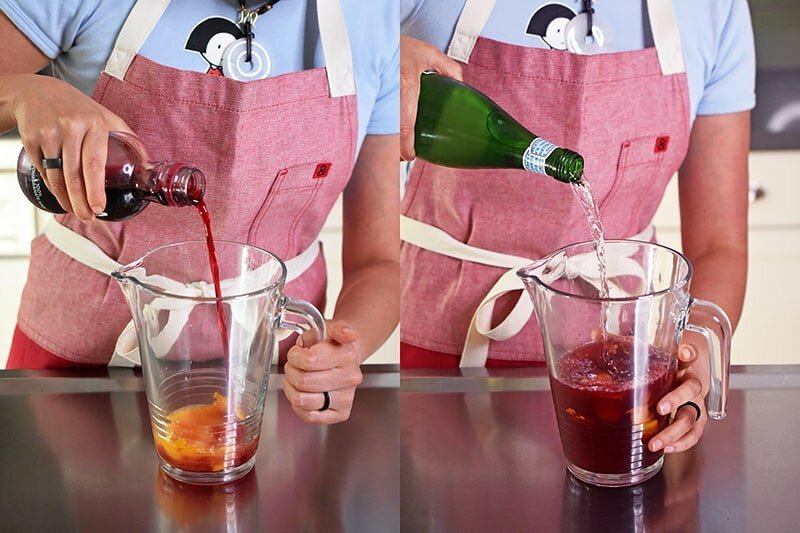 This Whole30-friendly bubbly drink is perfect for all your partygoers, especially if they’re paleo, underage, or a fellow sufferer of Asian Flush/Glow. 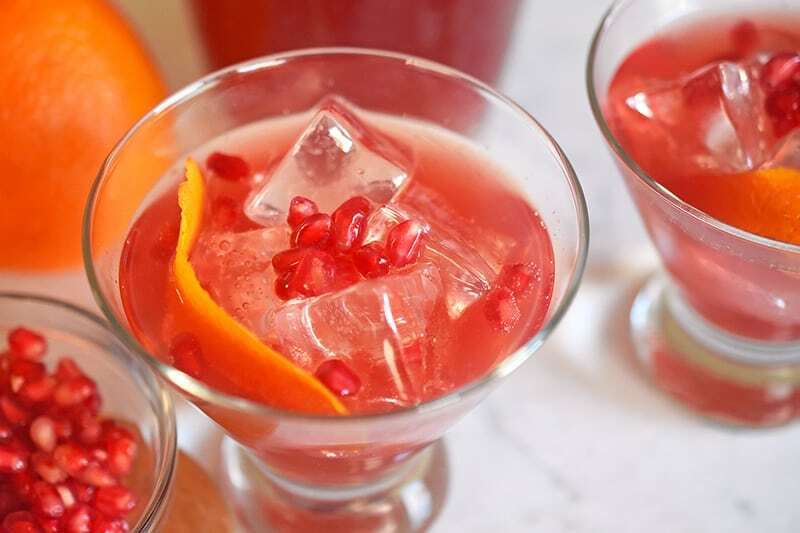 My Pomegranate Orange Mocktail is the perfect marriage of tangy pomegranate juice, sweet orange juice, and spicy ginger—and you won’t even miss the alcohol! Of course, if you want to turn this mocktail into a full-on adult beverage, you can replace the sparkling water with champagne or prosecco. Don’t worry—your secret is safe with me! 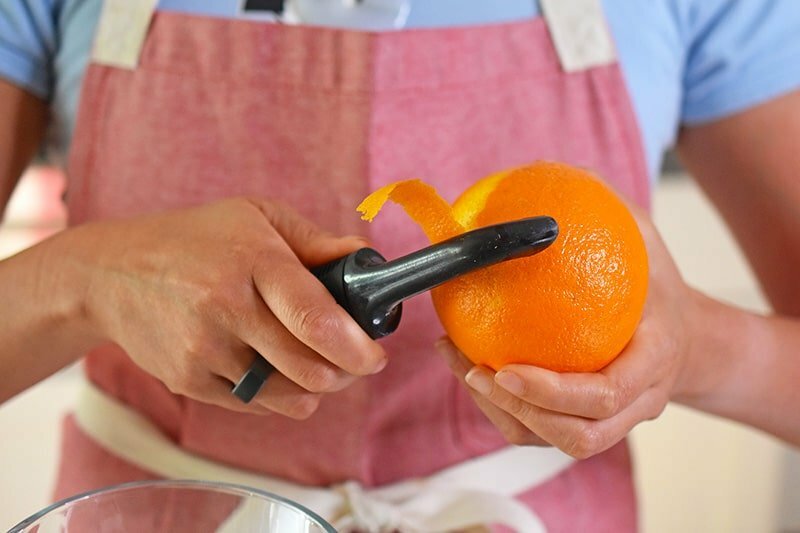 Peel the zest off the orange using a vegetable peeler. Make sure you don’t scrape too deep ’cause the white stuff’s bitter. …pomegranate juice, and sparkling water. When you’re ready to serve, stir well and strain before pouring into cocktail glasses filled with ice. 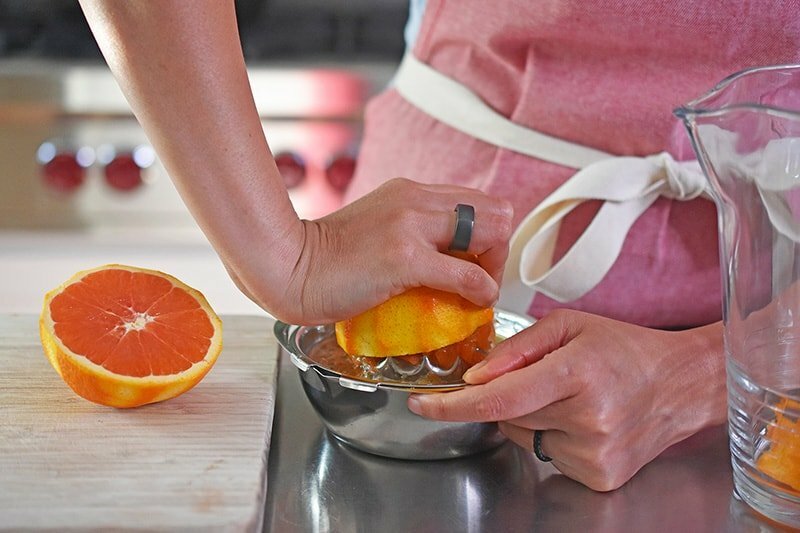 Garnish the mocktail with the reserved orange zest and some pomegranate arils. This Whole30-friendly Pomegranate Orange Mocktail is perfect for all your partygoers who want a bubbly and zesty non-alcoholic drink! 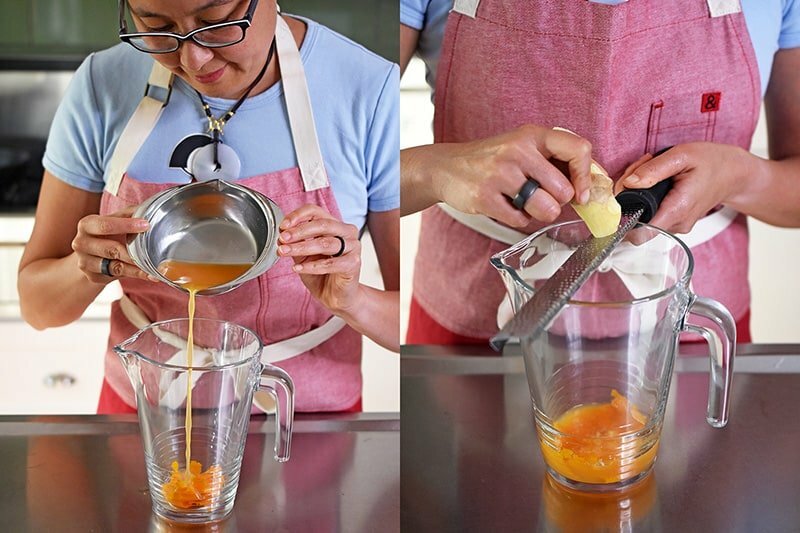 Juice the orange and pour the OJ into the pitcher with the zest. Add the grated ginger (a.k.a. ginger snow), pomegranate juice, and sparkling water. 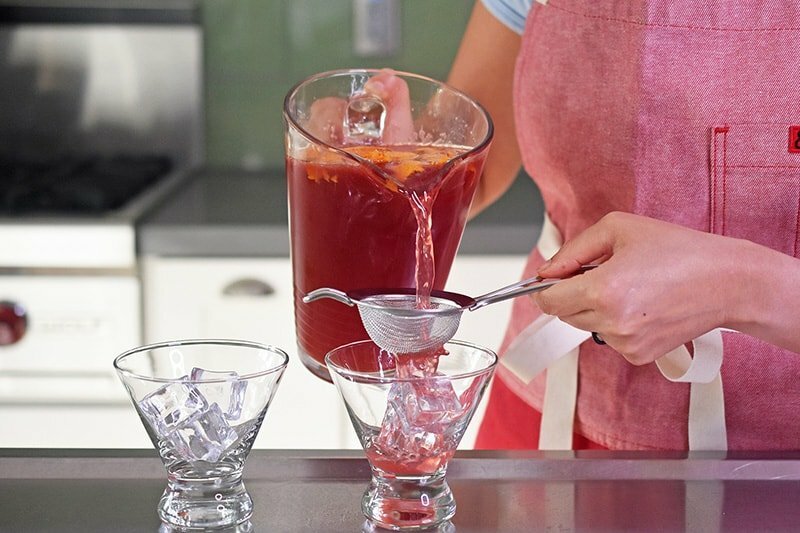 When you’re ready to serve, stir well and strain before pouring into cocktail glasses filled with ice. 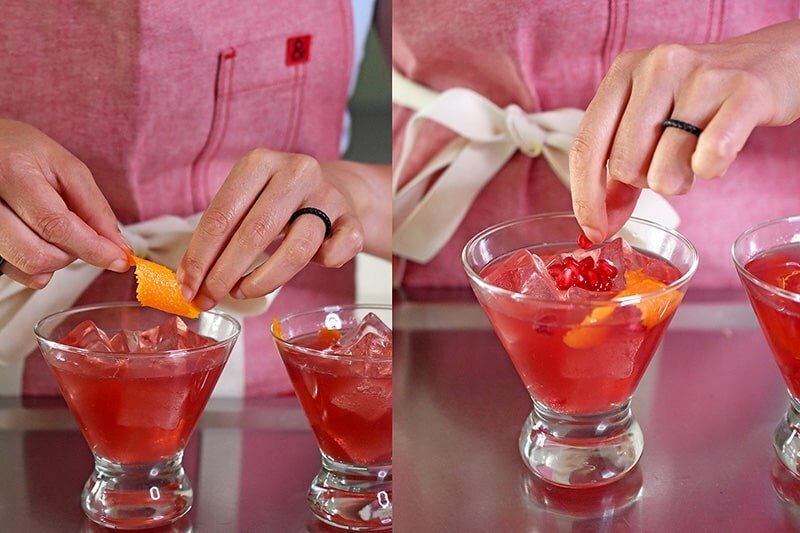 Garnish the mocktail with some pomegranate arils and the reserved orange zest. If you want to turn this mocktail into a full-on adult beverage, you can replace the sparkling water with champagne or prosecco.